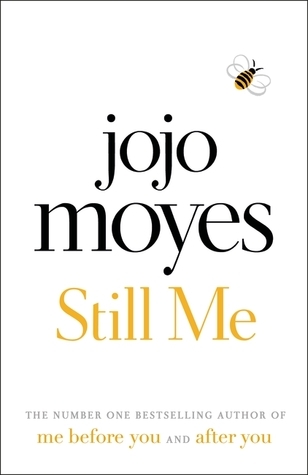 This week my teaser comes from Still Me by Jojo Moyes, the sequel to the sequel to Me Before You. I’m a huge fan of Moyes and think I’ve read just about everything she’s ever written so I was ridiculously excited to win an advance copy of this from the publisher (as well as a tote bag and bookmark). I’m around half way through and really enjoying. It’s so good to have Lou back. Note: my teaser is spoiler free (ish) but the blurb contains spoilers for previous books in the series. For the first time since I had come to work for the Gopniks, the weekend stretched out in front of me like an interminable journey over bleak terrain. So I did what every girl does, when they are far from home, and a little sad. I ate half a packet of chocolate digestives, and I called my mother. From the sensational #1 New York Times bestselling author Jojo Moyes, a new book featuring her iconic heroine of Me Before Youand After You, Louisa Clark. I couldn’t believe it when I got the email. So happy and I really enjoyed reading it. It’s a lot less depressing than After You and it’s mostly set in New York which is fab. I loved all of the new characters. Maybe a bit longer than it needed to be but worth a read. Oh that’s really good- I definitely want to read it now 🙂 Brilliant!